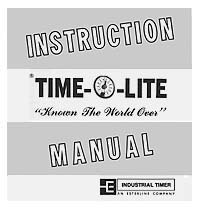 High quality copy of the original Industrial Timer Corporation instruction manual for their Time-O-Lite darkroom timers. 5¼" x 5¾" format. Staple bound. 20 pages.